Have you set yourself a goal to work on your fitness this year? It may be your New Year's resolution or maybe you would just like to get active with your family this year, either way we know that this can be a struggle during the winter months. We have come up with some top tips to help keep you and your family active during the cold weather, why not give them a go and let us know any other ideas you have on Facebook or Twitter? 1. What could be more seasonal than a family day ice skating? 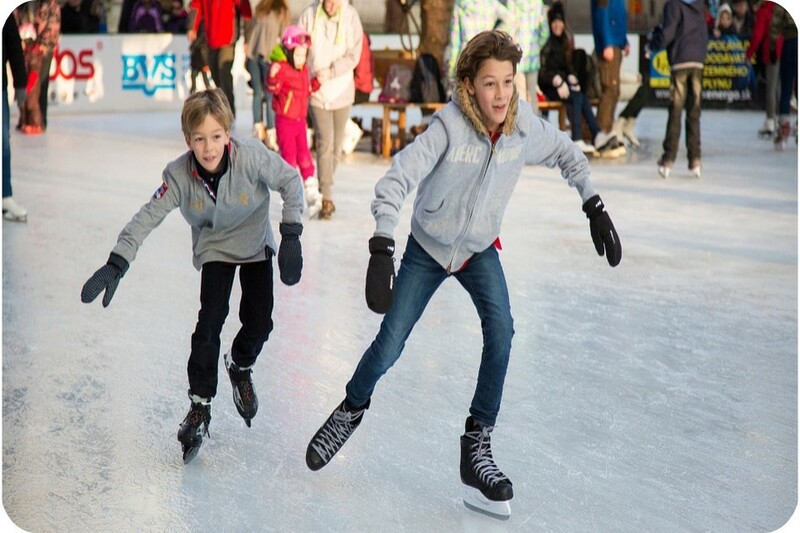 Head over to www.skating-rinks.co.uk to find your local ice skating rink, wrap up and let the fun and laughter begin - don't forget to pack thick socks if you plan on borrowing skates! 2. Winter play & picnic - most people associate parks and picnics with the summer but on a sunny winters day why not head to your local park and enjoy the outdoors? To keep warm arrange a mini winters sports day, get the kids to race mum and dad in sprints and relays, play a game of family Frisbee and once you're warmed up, drape a blanket over a park bench and enjoy some hot soup and rolls, or whatever it is you fancy! 3. Family housework day - set tasks for each member of the family to help out with the housework, sell it to the kids as whoever does the best job wins a prize, whether that be dinner of their choice / a friend over for tea / or a trip to the park etc. This is one of our favourites, everyone is active and the jobs get done quicker! 4. Indoor swimming - You're guaranteed to have fun at your local swimming pool, whether you and the family want to make a splash and head down the water slides or you fancy seeing who can do a length of the pool in the fastest time, both are great ways of keeping active. Head to www.swimming.org/poolfinder/ to find your local pool. 5. Embrace the snow - that is if you are lucky enough to live somewhere that gets snow this winter! If you happen to live in or around London, Kidzania is a great day out too! Kidzania is a 75,000 sq.ft. child-size City where kids are in charge, it is a real life role play experience for 4-14 year olds, blending learning and reality with entertainment. The kids choose which activities they wish to try, out of more than 60 real life role-play activities in the bank, on stage or fighting crime on the streets as a police officer! We can guarantee that their day will be active if you plan a trip! To find out more information click here.